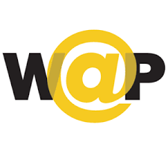 What do you understand by the term WAP? An international standard that ascertain about the information access by the mobile devices through Internet is known as WAP. WAP is the set of protocol that iswidely used on the wireless devices like mobile phones and PDAs. The tutorial provides an overview and understanding of the WAP technology and its concepts. Who are the audience for learning the concept of WAP? This tutorial is mainly targeted for the readers who are interested in learning WAP technology. The tutorial provides all the topics for both beginners and for advanced users. What are the prerequisites required for learning WAP? Good knowledge and understanding of the basic concepts of TELECOM is essential for learning and understanding the topics of WAP Technology.